The Sweater That Lived screen printed tote bag, in your chosen colour, printed using sparkle print. Save £2 by ordering both together. 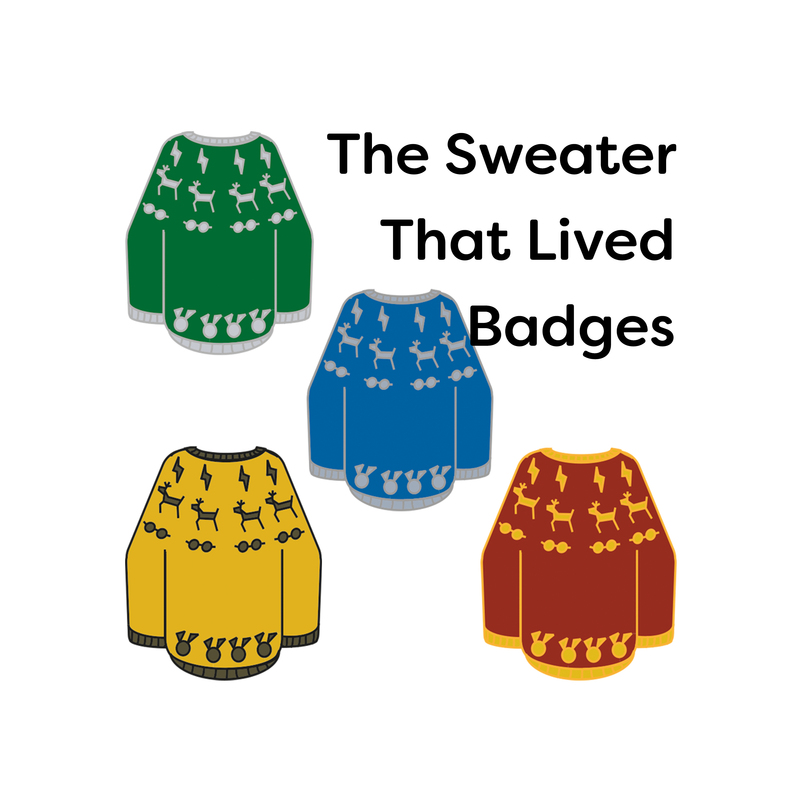 Add a printed A4 copy of either The Sweater That Lived (4ply) or The Cardigan That Lived (dk) for an extra £5. Pins and Totes can also be ordered separately, see individual product listings. Pre-orders will despatch during the week commencing April 15th. The Sweater That Lived screen printed tote bag, in your chosen colour. The sweater image is printed using sparkle print. Add a printed A4 copy of either The Sweater That Lived (4ply) or The Cardigan That Lived (dk) for an extra £5. The Sweater that Lived is currently on Ravelry. The Cardigan That Lived will be available in mid-April.